Earlier this month actor Jussie Smollett was indicted on 16 felony counts of filing a false police report after he was accused of staging a hate crime and blaming it on Donald Trump supporters [click here if you missed that]. 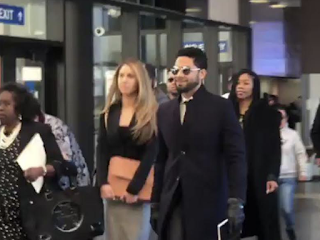 "Jussie was attacked by two people he was unable to identify on January 29th. He was a victim who was vilified and made to appear as a perpetrator as a result of false and inappropriate remarks made to the public causing an inappropriate rush to judgment." He beat the case! His basically like the Gay Tupac. Wow. I was waiting for the twist. I never believed the story but I also thought he was somehow set up by someone trying to create fake drama. Humiliation ritual complete, charges dropped. Are you not entertained lol. Good for him I suppose but we will never know the whole story. hmmmm. why is the case sealed. .. and the dots connect.